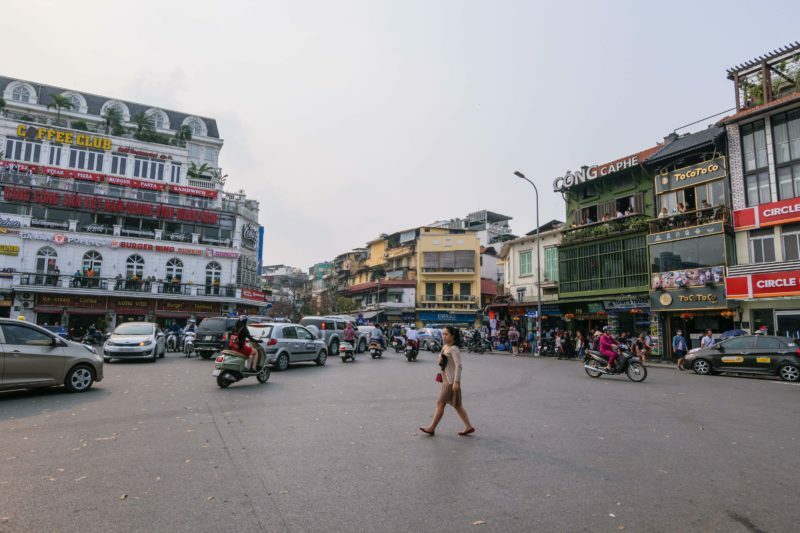 If you travel to Vietnam, chances are you will fly either into Hanoi or Ho Chi Minh City. 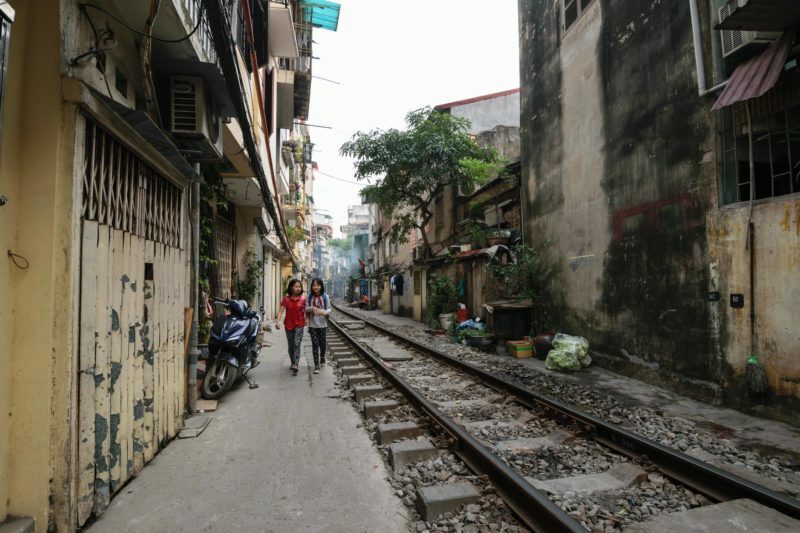 Because I chose to focus my trip in northern Vietnam, it made a lot of sense to begin my journey in Hanoi. I used it subsequently as a base to venture west (Sapa), east (Halong Bay), and then south. Hope you enjoy my photo journey below! 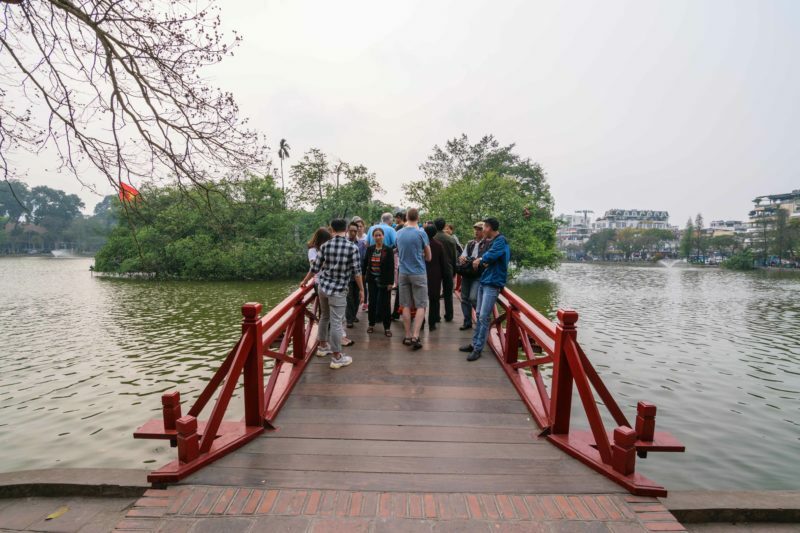 Walking around Hoàn Kiếm Lake is unavoidable if you visit Hanoi as a tourist. Don’t just focus on the lake itself, the surroundings and people watching is just as interesting. 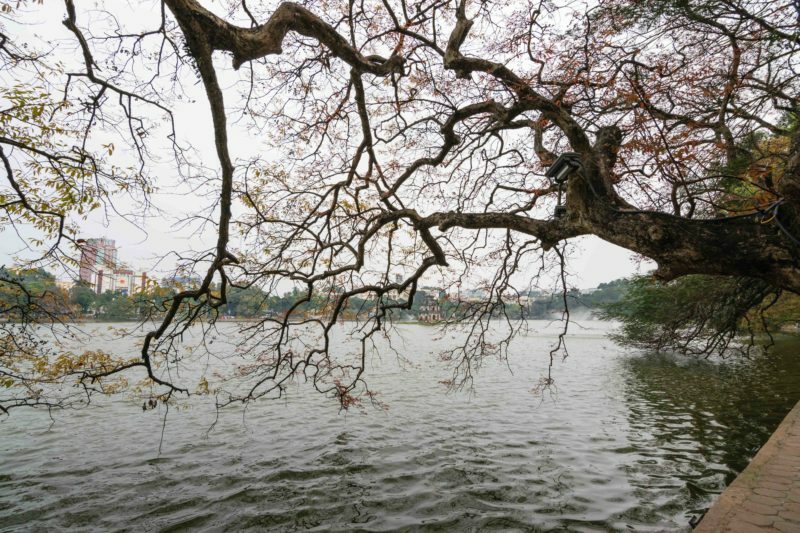 Consider taking a seat by the lake and drink tea (or snack on sunflower seeds) like the locals. 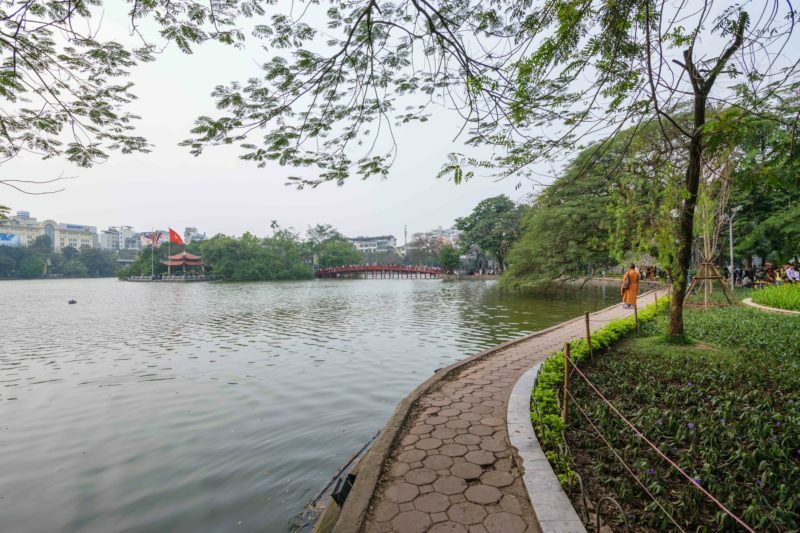 A popular attraction on the lake is Ngoc Son Temple. But set your expectation straight that it’s not very “peaceful”. Just off the lake is a busy intersection where you can practice jaywalking (or just people watch from the balcony at one of the many cafes). If you choose to jaywalk, I wish you the best of luck. 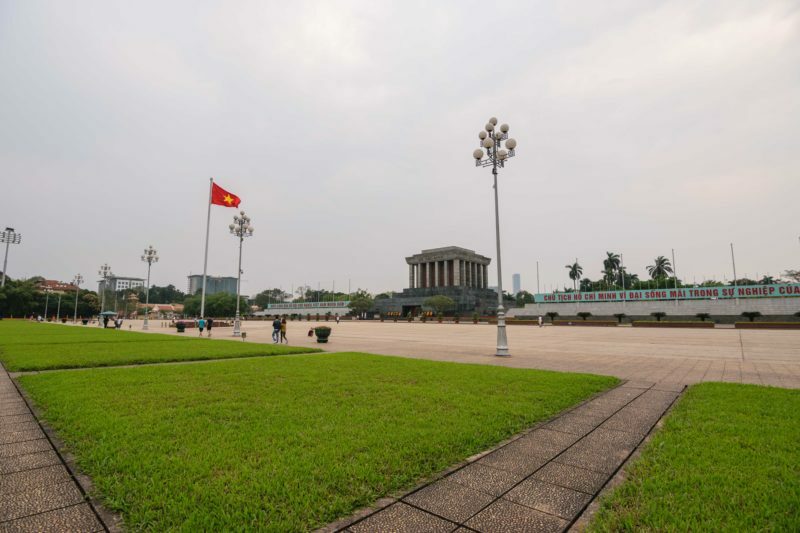 You can also make your way over to Ho Chi Minh Mausoleum to take a break from the crowd and check out some history. 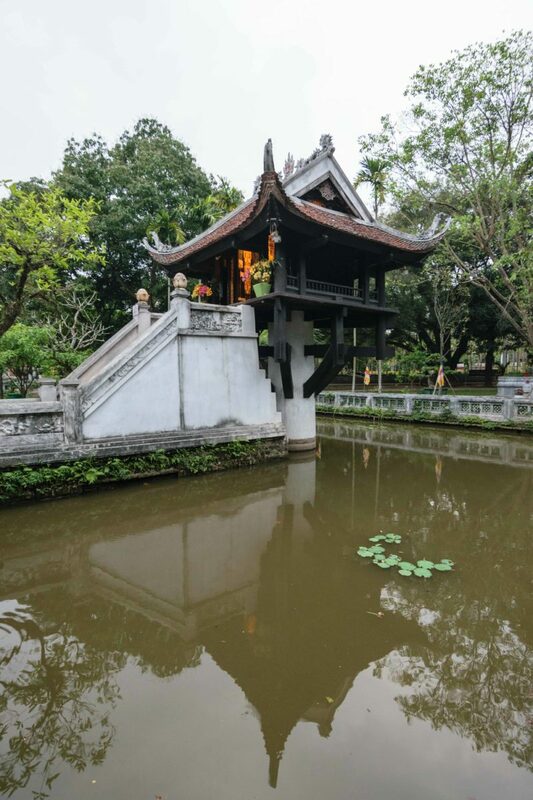 There is a near by garden off the mausoleum square where you can find the One Pillar Pagoda. But if I was to do this trip again, I would have skipped the square and made time for more food. It was AMAZING! Did I say AMAZING? I must say it for a 3rd time: AMAZING. I would also highly recommend a food tour for dinner – our tour guide tailored our experience to match our taste and craving for adventure. When in Hanoi, don’t forget egg coffee. Giảng Cafe is supposedly where the recipe started (lower photos). 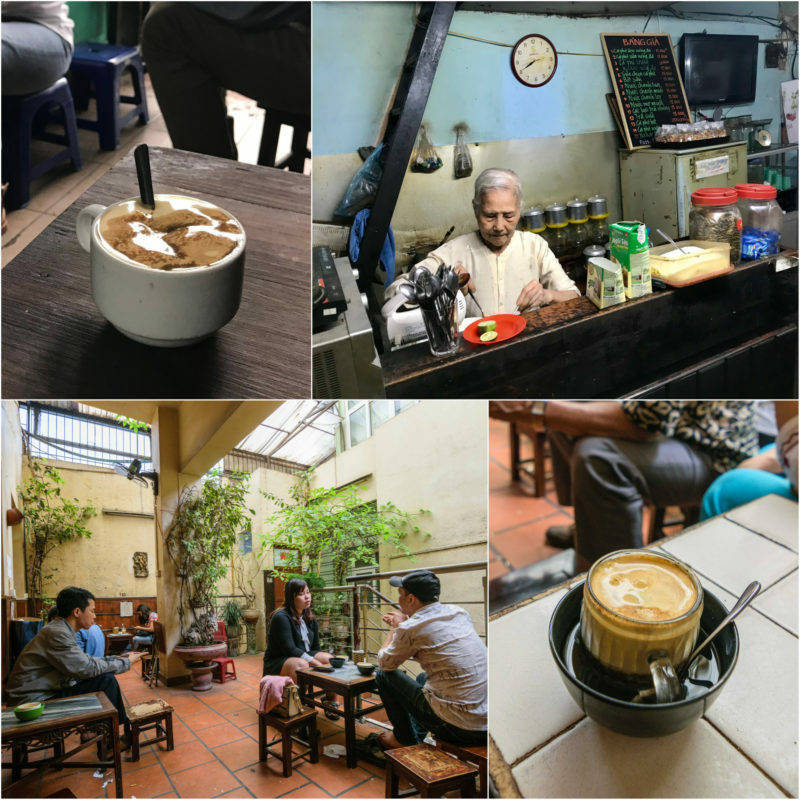 And Cafe Dihn is supposedly the best egg coffee in town with a slightly sweeter taste and is opened by Giang’s daughter (upper photos). 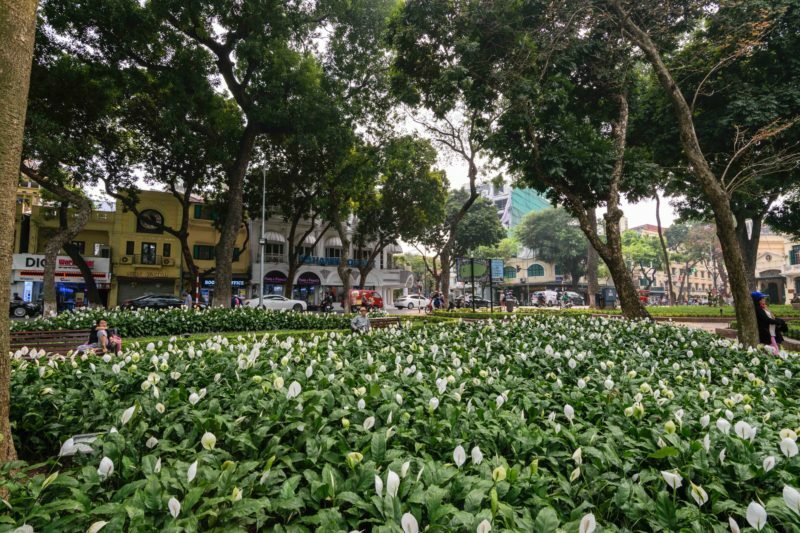 If you are at the train station early, consider going slightly south to check out the train track street where people live, plant gardens, and open shop to earn a living. 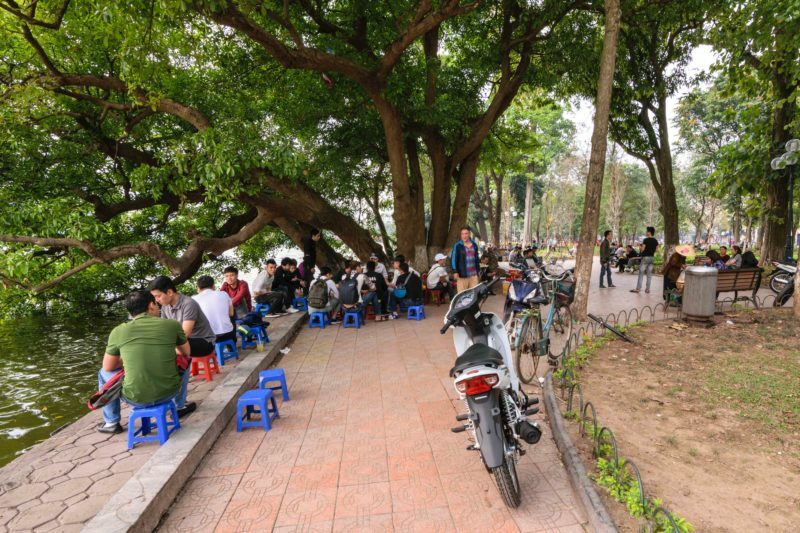 Wake up early for the best pho – I stumbled upon a swarm of locals at a roadside pho stand enjoying breakfast. It was out of this world delicious. It was only later that the lady I sat next to explained to me that it is a super popular spot with locals and the shop runs out of pho by 9am. 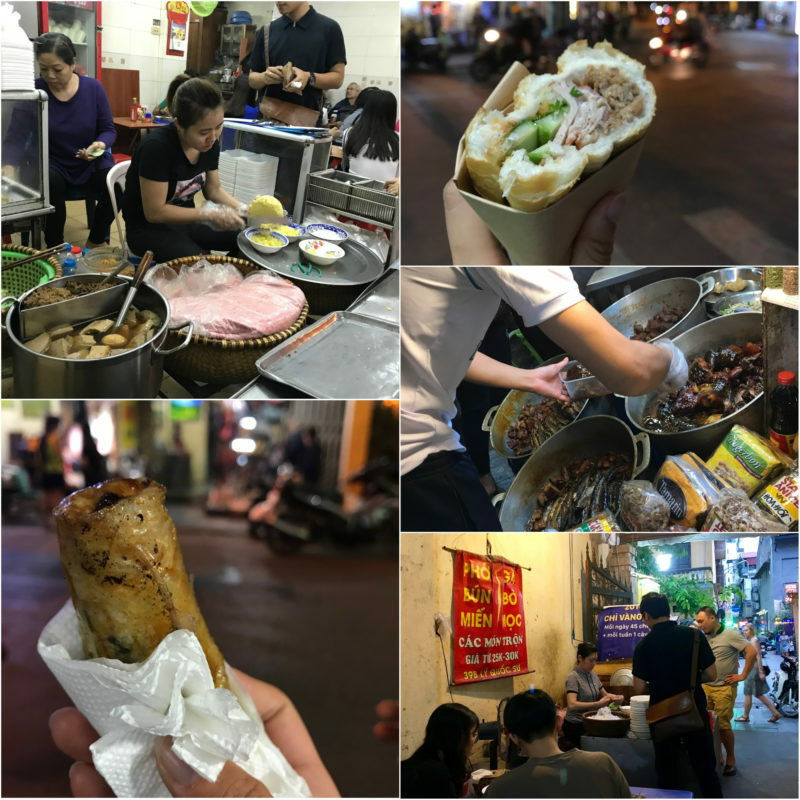 Keep an eye out for where people pick up food from right after work – walking around at 5:30pm, I noticed lots of scooters stopping by food stands to pick up food and leave. Peaking my curiosity, that’s how I found out about Che 4 Mua and the fruit bowls with ice. 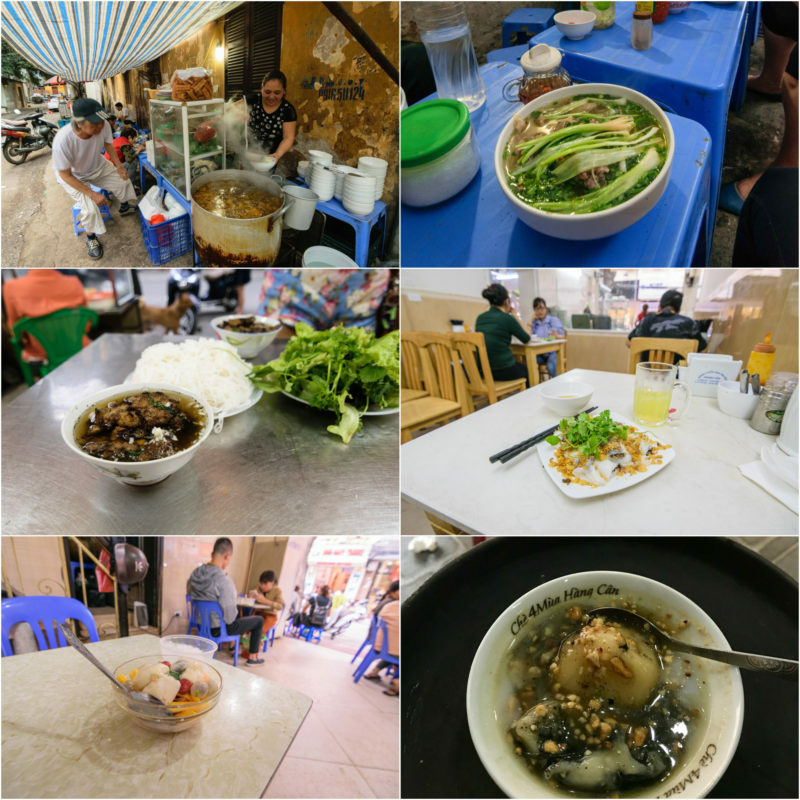 Don’t miss bún chả – I ate at 34 Hàng Than and it was fantastic. Don’t miss banh cuon – Bánh Cuốn Thanh Vân was fresh and delicious. Even if you hate tours, go on a food tour – my tour only had 3 people and we had a super tailored and fun experience. Make time, wonder around, don’t plan too much, have fun!